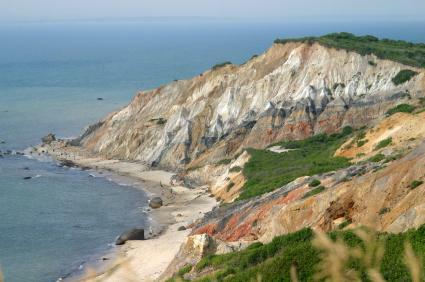 Summer vacation in Martha’s Vineyard is all about the Bs: beaches, biking, and bird watching. Best known as a playground for the rich and famous, the tiny island located off the south coast of Cape Cod, Massachusetts is a tourist hot spot for New Englanders and others looking for a place to escape from the hustle and bustle of everyday life. Despite its reputation for catering to the world’s most affluent travelers, it is possible to vacation in Martha’s Vineyard during the summer months without breaking the bank. This is due in large part to the fact that nearly half of the 100-square-mile island is conservation land and open to the public. The 5,000-acre state park, located in the charming town of Vineyard Haven is a true natural gem. It was originally set aside in 1908 as a "Heath Hen Reserve," but the birds became extinct less than 30 years later. Still, the park remains a haven for bird watchers as well as nature lovers of all ages. Manuel Correllus can’t be beat when it comes to outdoor recreation. Visitors can hike, bike, ride horses, and picnic to their heart’s content throughout the summer months. Take a step back in time to Oak Bluffs, a resort town peppered with colorful gingerbread cottages and old-fashioned charm. Located on the northern shore of Martha’s Vineyard, the tiny town explodes with throngs of shoppers and sunbathers during the summer months. Oak Bluffs' natural beauty can be taken in from its numerous walking and biking trails. Then, once you work up an appetite from all that fresh air, head to the town’s popular restaurant row where you can often see the likes of big name celebrities, such as Michael J. Fox, Ted Danson, Bill Clinton and President Barack Obama. No trip to Martha’s Vineyard is complete without touring one of the island’s homegrown wineries. Chicama, located in the cozy town of West Tinsbury, is the island's only commercial vineyard and winery. Fortunately, you don’t have to have a champagne budget to visit. Chicama offers free tours and free wine tastings during the summer months. In addition to the popular vino, visitors are given samples of the specialty vinegars made from Chicama wines, including Greek Oregano, Dill, and Opal Basil. Less than 20,000 residents call Martha’s Vineyard home during the winter months. However, that all changes from May until late September when the island’s population swells to more than 100,000 with an additional 25,000 visitors coming and going throughout the summer months. Needless to say, if you are planning to spend your summer vacation in Martha’s Vineyard be prepared for plenty of company. What’s more, in addition to the ferries, which transport visitors to and from the mainland, beginning in May 2011 JetBlue will launch summer-season flights from New York nonstop to Martha’s Vineyard. Martha’s Vineyard tourism officials say they expect the discount commercial carrier’s service will further increase the number of visitors that descend upon the island during the summer months. If jostling for beach space is not your idea of a good time, then steer clear of the Vineyard during the crowded July 4th weekend and the last weekend in August when the island hosts it annual Agricultural Fair. Rather, visit Martha Vineyard’s Chamber of Commerce website for a complete rundown on when the island sees a lull in summer crowds and how you can save during your retreat to the East Coast jewel.